According to the final report of the Assoc. 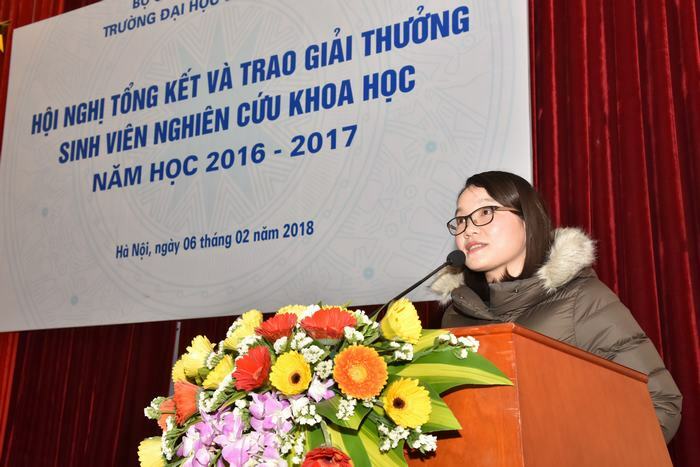 Dr. Duong Minh Lam - Head of Science and Technology, the academic year 2016 - 2017, the whole school had more than 60 scientific research works of students recruited from all faculties. School selected 04 out of the more than 60 works to submit to the contest at the ministerial level, and all of them were awarded. 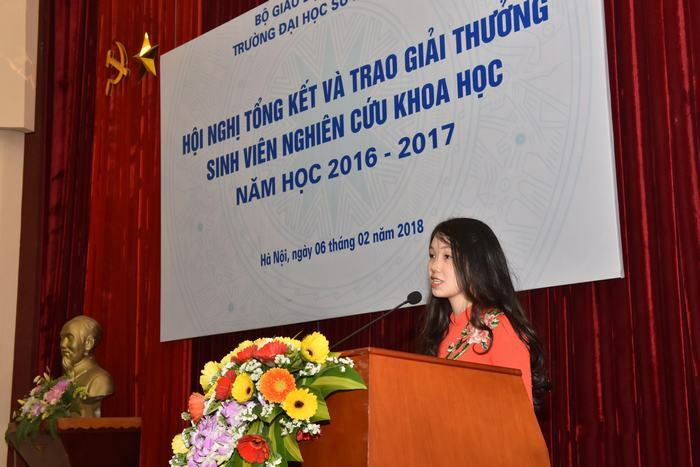 In the academic year 2016 – 2017, students of the University have achieved 01 first prize and 03 consolation prizes at ministerial level; 01 first prize in EUREKA competition; 04 first prizes, 08 second prizes, 12 third prizes and 37 consolation prizes at the School level. One of the remarkable features in scientific research activities of students is that many freshmen and sophomores began doing scientific research; moreover, their studies gained many high prizes. 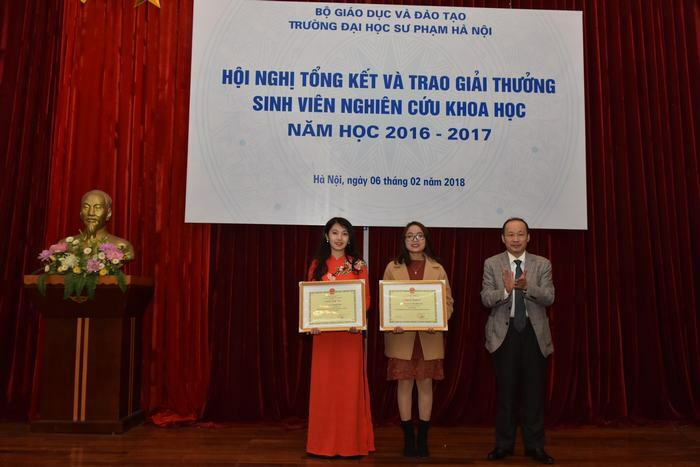 Typically, Le Thanh Nga- a sophomore from K65 Faculty of Philology won the first prize at both school and ministerial level. 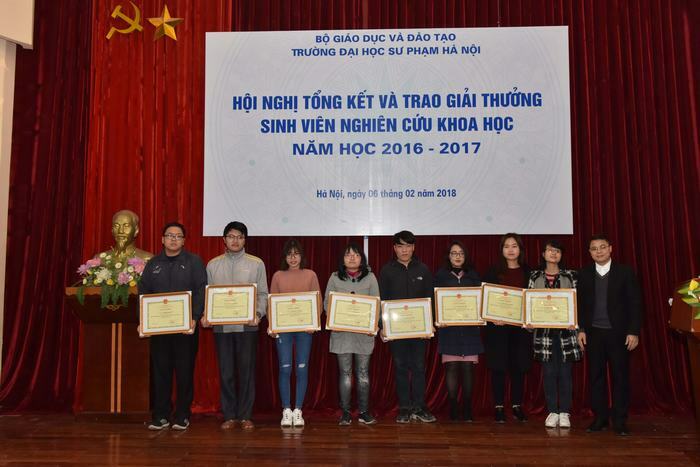 The results of students’ research in the school year 2016 - 2017 has confirmed the quality of scientific research works of students in Hanoi National University of Education, and also contributed practically to the training of shool’s quality. 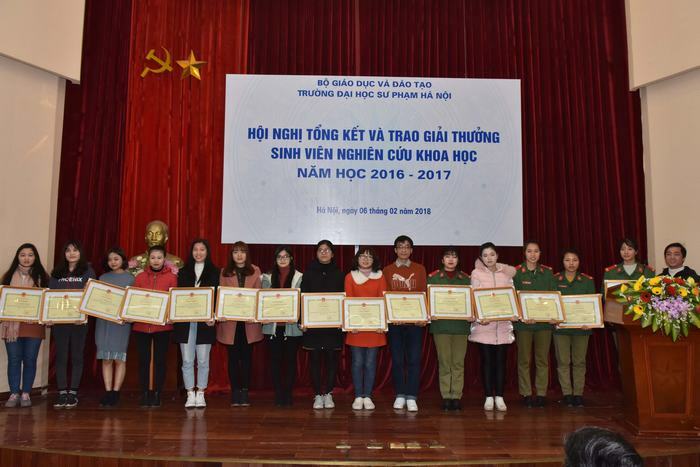 At the meeting, all students, groups of students achieving the above-mentioned prizes were given certificates and rewards by the president of the university. President also awarded commendations to the teachers guiding students in scientific research to promptly recognize their efforts. 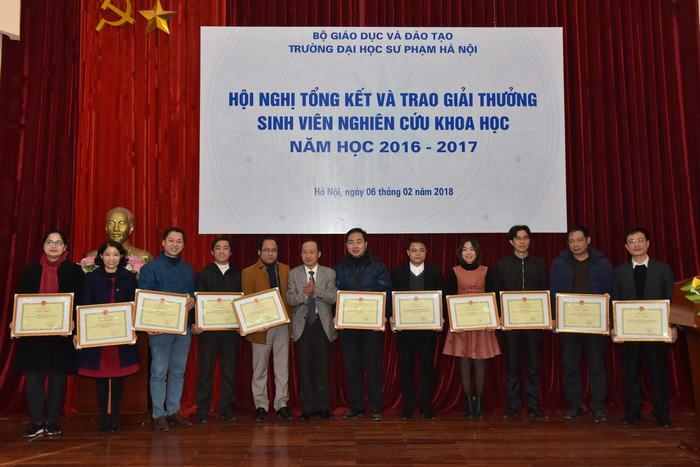 In addition, 11 teams and officials who have actively contributed to the work of students in scientific research in the academic year 2016-2017 are also rewarded. 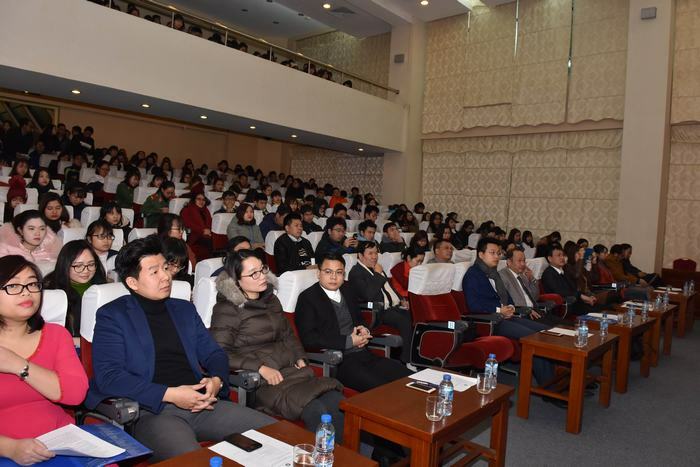 Hopefully, the results of scientific research of students in this school year will be kept going on both in quantity and quality in the next school year under the dedicated guidance of the teachers in the university. 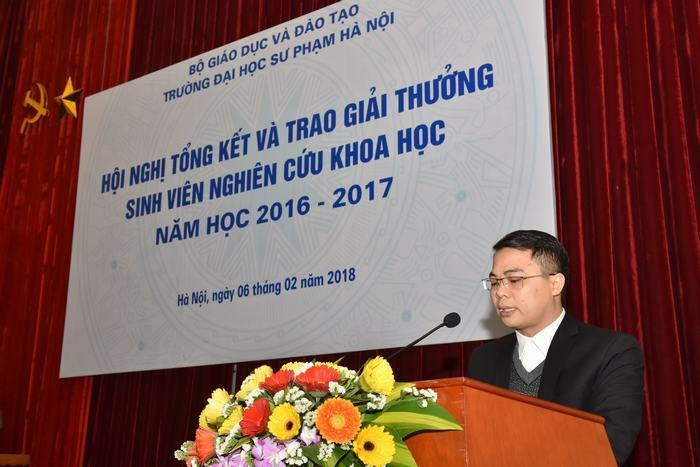 Dr. Nguyen Van Thoa - Secretary of Youth Union - launched the campaign of students’ scientific research in the academic year 2017 - 2018.